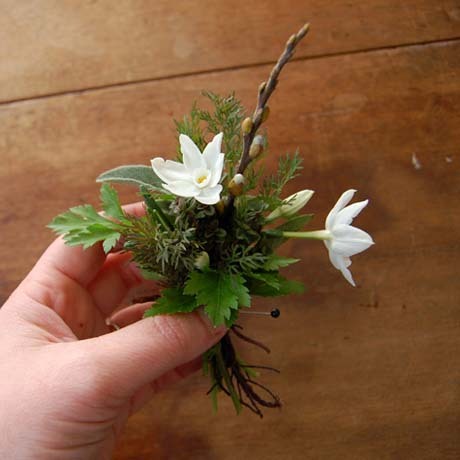 While traditional flowery things are fairly scarce during winter, perennial herbs and early narcissus are there for the picking. 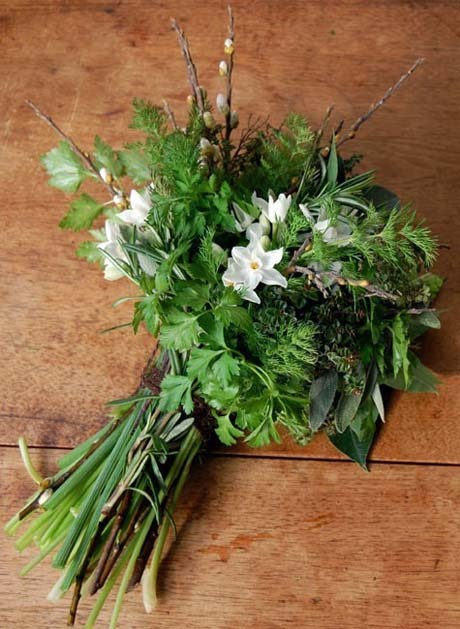 Bay, rosemary, parsley, sage and wispy dill (although the latter is an annual) make up this aromatic bouquet, as well as sweetly scented narcissus. These are paperwhites, but you can use Erlicheer, which are in full bloom now. 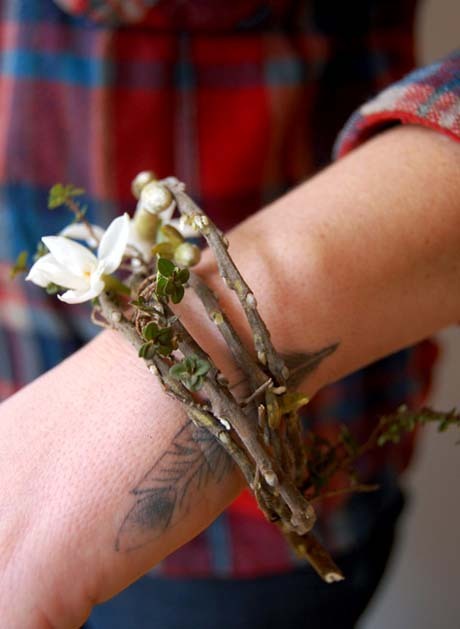 Check out that natural ‘bracelet’ too. See more photos of this lovely fresh-smelling bouquet over at Design Sponge.